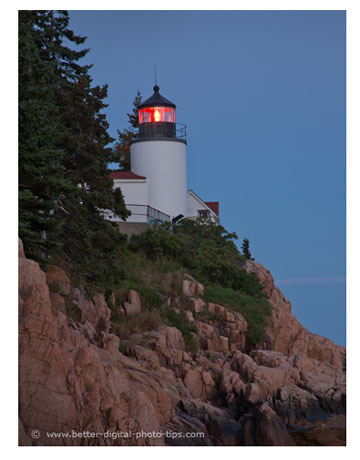 Want a recommendation for good travel photography books on Acadia National Park? After some tedious research on quite a few and I decided to buy 2 of them. The good news for you is that there are several that will help you get the shots you want of this amazing place in the short time you're visiting. 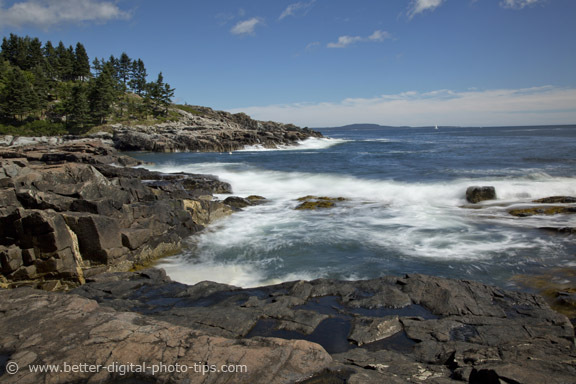 This post will give you my thoughts on what photography books on Acadia National Park are worthwhile reading. I know what you're thinking. Why buy a book when you get just get the same information for free? Like you, I needed a photography plan for my upcoming trip to Maine. I didn't want to just wander around aimlessly and waste time. I formed an emotional bond with this unique place on the Atlantic coast when I visited it as a young boy. I now felt compelled to return to this magical place as an adult. I was overdue to return, this time with camera gear in tow, this time as a photographer in pursuit of taking some appealing images. Travel photography books are sometimes similar in how they are designed, but these two book took different approaches and I felt it very valuable to have both. While it's true that you can research a lot of information about a destination for free on the internet, bringing a travel book is a no-brainer. Having a physical book along with you as you travel, to refer frequently whenever you need an answer, is so helpful. 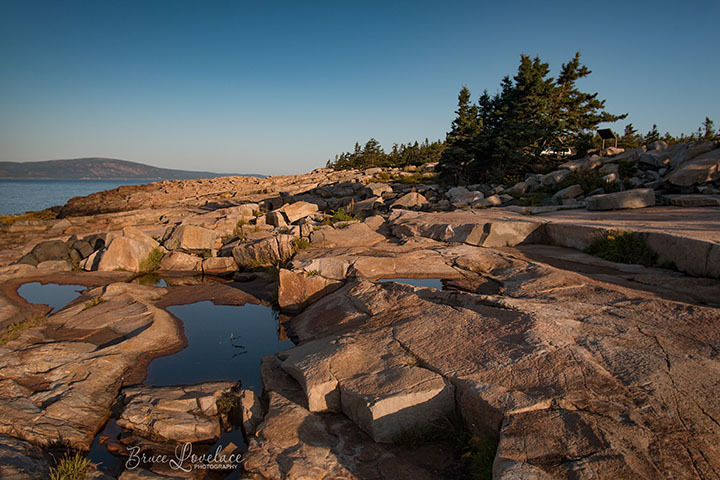 This is one of the Acadia National Park photos I took during my stay. The rocks are probably the most fascinating subject for me. The geological history represented, the interaction with the ocean, and the wildlife that claim this location as home make visiting it a unique experience. But I digress. 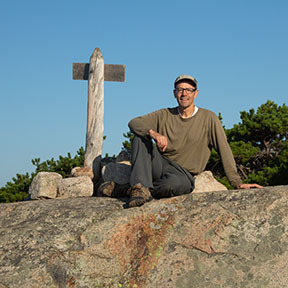 You likely are more interested in the travel photography books on Acadia and why I chose them. 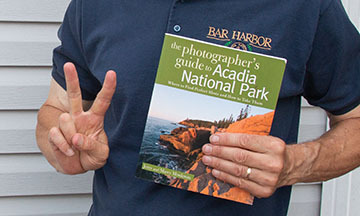 This book was specifically written for travelers looking to take photos in Acadia. 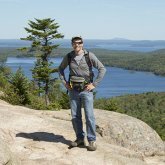 It briefly covers 44 specific locations on Mount Desert Island ,where I was going to spend 3 days, and covers an additional 12 locations elsewhere within Acadia National Park. What I liked about the book was its organized order of photography spots shown on a map at the beginning of the book. This made it easy to plan out my day ahead of time and be efficient as possible in my very limited time on the island. The book also contains some general photography tips on timing, depth of field control and lighting which are valuable to beginning photographers. I gave the book a 4-star rating on Amazon. Where could the book have been improved? Acadia is a big place and it would be difficult to cover everything in detail, but I would have loved a little more depth coverage at each location. To do this you'd likely have to double the book's thickness, making it less desirable to carry along, and perhaps tripling the price in the process. Don't get me wrong, this is a good travel book for people interested in photographing Acadia. It does a great job of showing the variety of photo subjects available, the distant and close-by landscapes, the harbors, the mountains, the rocks, the lakes and oceans, and the vegetation. I chose September, right after Labor Day for my photo excursion. The crowds are gone and the weather is perfect; warm days and chilly nights. Although this book is not really a travel photography book I gave it a 5-star rating on Amazon. The quality of the photography in this book is outstanding and the book is so well written and comprehensive. It's very unusual for me to not want to change at least one thing about a book, but I wouldn't change a thing in this book. 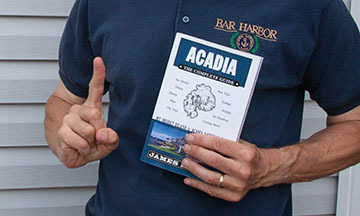 If you are looking for any specific photography tips on photographing Acadia, this is NOT a good book for you. I was looking for a complete guide to visiting Mount Desert Island (MDI) to use along with the photographer's guide mentioned above and these two were perfect for my situation. If you're already an accomplished photographer, you could use just this one book rather than get two books like I did. I used the chapter and maps on hiking the trails and mountains more than any other feature of the book. This was the ultimate photo trip for me, being able to hike and photograph much of MDI in a way-to-short 3-day span. This book is not a restaurant and hotel guide, the reviews of which can change often. Inside the front and back covers are "Quick Guides" that can save you time when you want to look something up quickly. The index in the back is very comprehensive too. When reading this book it becomes quite apparent that the author, James Kaiser knows this national park extensively and loves it deeply. The two travel photography books on Acadia were a perfect tandem for my situation. Your specific interests in travel photos of Bar Harbor, Mount Desert Island and Acadia National Park may be a little different than mine. As I mention elsewhere on the Digital Photography Tips web site, I get a lot of valuable information by reading a lot of reviews on books, cameras and photography equipment, and a variety of common household products by reading the reviews on Amazon. 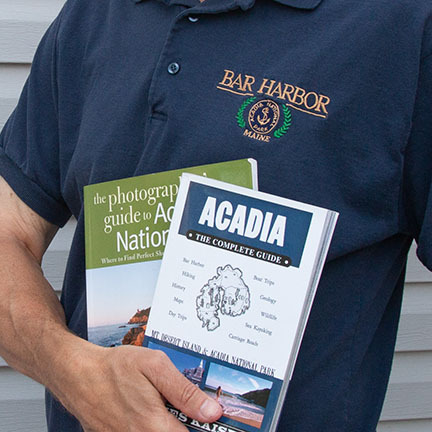 Have a blast with your travel photography books on Acadia! Bass Harbor Lighthouse-photographed from the side nobody else does!